Our New York genealogists are available to research on location. They will find and analyze the best records available to further your family history research. They can search the archives and libraries in New York, as well as help you with other special requests. Our researchers are available to visit local archives and libraries to access unique record collections to help with your research. Below is a list of a few of the archives our New York researchers have access to. The New York State Archives hold several specialized collections with thousands of individual articles in each of them. Their indexes of vital records (birth, death, and marriage), cover the entire state outside of New York City. Other types of records include manuscripts, land grants, land survey maps, military records, and the original records of New York government jurisdictions. Erie Canal passenger lists here are dated from 1827 to 1829. The State Archives do not circulate their microfilms, so our local genealogists are the best suited for research here. The New York State Library’s collection is national in scope, but focuses on records from New York, Pennsylvania, New Jersey, and New England families. Other items hold here are local histories, genealogies, atlases, and church and cemetery records. The collection of censuses contains those at the state and federal levels. The manuscripts in the library are dated from the early 1600s to the present. These include papers and records from notable citizens and organizations, as well as land records from the eastern part of the state. The section on religious records has information on Protestant and Shaker congregations. The New York Registrar of Vital Statistics is home to Albany birth and death records from 1848. Additionally, the institution holds New York birth records and death records, dating from 1848 and 1870, respectively. The Olin-Uris Libraries at Cornell University holds collections of histories, maps, and newspapers, including a large collection of Protestant church records for western New York. Our New York genealogists can access New York state censuses at this library in order to find your ancestors. Special collections include Cornelliana, a collection of Cornell-related publications about the history of the university and collections related to Iceland and Asia. The New York State Department of Health Bureau of Vital Records contains birth and death records for the state of New York (excluding New York City). These records date back to 1880. The Montgomery County Department of History and Archives was established in 1934. This isn’t a lending library, so it is necessary to visit the archives to access records held here. The archives are home to the largest collection of family genealogies in New York. It also hold church record transcripts, local histories and town records for the Mohawk Valley. The Bureau of Vital Statistics of Buffalo is home to Buffalo vital records. The birth records span from 1878 to 1914, and their death records from 1852 to 1914. The Registrar of Vital Statistics of Yonkers is home to vital records of Yonkers. Both their birth and death records date back to 1875. Our New York City genealogists are available to visit the local archives and libraries in the city to further your research. Some of the repositories they are able to visit in New York City are listed below. The New York Public Library is one of the largest research repositories in the world with over 14 million titles. The Milstein Microforms Reading Room gives access to thousands of records spanning centuries. These include birth records from the late 1800s to 1909, death records from the late 1880s to 1948, and marriage records from 1869 to 1937. The library’s land and property records date back to the 1600s. The Brooklyn Historical Society (BHS) was founded in 1863 as the Long Island Historical Society (LIHS). Its name was changed to Brooklyn Historical Society in 1985. With 33,000 books and thousands of oral history interviews, photographs and maps, the society’s library holds one of the most comprehensive collections of materials about Brooklyn. The National Archives at Bowling Green contain passenger arrival manifests for New York and Philadelphia. The archives also hold New York City area naturalizations and United States censuses. Military records include the World War II Old Men’s Draft Registration. The vital records held here include New York birth, marriage and death record indexes. The Holland Society of New York’s library is an invaluable repository of information on early Dutch settlers. Specifically, they focus on Dutch families that settled in the New Amsterdam and Hudson River areas. Additionally, they hold information on Dutch colonies throughout the colonial United States. The library’s archives contain 1,000 books on genealogical research and 3,000 family histories and genealogies. They also hold 3,000 regional histories of present-day New York, New Jersey, Delaware, Maryland, Pennsylvania, Kentucky, and Ohio. The New-York Historical Society’s Klingenstein Library is home to an impressive amount of printed materials. 350,000 books and pamphlets, over 1 million newspaper issues, and over 10,000 maps and atlases are held here. Topic wise the New-York Historical Society focuses on the history of the state and New York City, colonial history and military history. They also hold records from major charities such as the Children’s Aid Society and the New York Foundling Hospital. Both of these charities were involved in the orphan train movement, which focused on sending orphans away from large cities and into rural foster care. These records are an excellent source for finding information on lost family members. 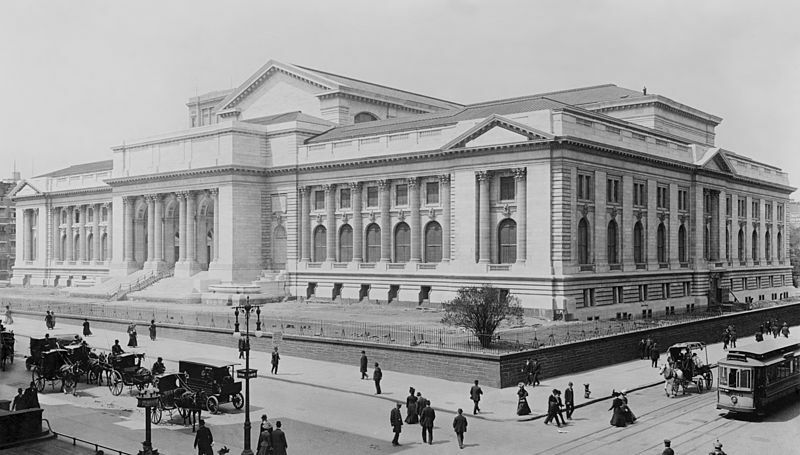 The New York City Municipal Archives was founded in 1950. The archive makes historical New York City municipal government records available. The archives hold approximately 221,000 cubic feet of records. These documents include ledger volumes, vital records, maps, blueprints, and sound recordings. The New York City Department of Records and Information Services contains local vital and census records, as well as city directories. Their holdings include birth, death, and marriage record indexes for Manhattan, Brooklyn, Bronx, Queens, and Richmond (Staten Island) Boroughs. They also have New York state censuses for Kings and Richmond Counties. Their holding of city directories includes directories of Manhattan and Brooklyn, ranging from the 18th to 20th centuries. Voter registrations, almshouse records, and municipal government records can be found here as well. The Huguenot Society of America holds the largest collection of historic Huguenot articles outside of London. These include historic and genealogical Huguenot records from France, Belgium, the Netherlands, England, and early colonial America. The New York branch of the National Archives contains records created by federal agencies and courts in New York, New Jersey, Puerto Rico, and the U.S. Virgin Islands. These archives date from 1685 to the present day. Naturalization records, customs lists, and records of the U.S. District Court of Appeals can be found here as well. There are also records of New York ships and ports, including the Titanic. All in all, the archive has more than 100,000 cubic feet of holdings. The Staten Island Museum was established in 1881. The History Archives contain a reference library of over 15,000 volumes. The History Archives also hold more than 60,000 images, including photographs, negatives, and tintypes. Our New York genealogists can find maps, atlases, and county directories to help in your research. Researchers can also access family bibles, cemetery, and church records, as well as muster and enlistment rolls here. The New York Public Library at 42nd Street is home to city directories, newspapers, and periodicals. It holds the New York State Censuses from 1905 to 1925. Genealogies and other reference materials are available here as well. The Long Island Division of the Queensboro Public Library holds unique Long Island genealogical resources. These records include newspapers and family genealogy volumes. 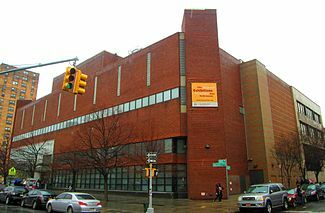 The Schomburg Center for Research in Black Culture is known as one of the world’s leading research facilities of materials on the African diaspora experience. The Research and Reference Division contains more than 300,000 volumes and 25,000 microfilms. They also have over 6,000 serials archived including 400 black newspapers. The Samuel J. May Anti-Slavery Collection at Cornell University’s Library is one of the richest depositories of anti-slavery and American Civil War materials in the world. Cornell’s first president, Andrew Dickson White, was instrumental in developing this collection. He gathered over 10,000 anti-slavery pamphlets written by his friend Reverend Samuel Joseph May. Andrew Dickson White also saved letters his students sent him from Civil War battlefields, as well as maps, prints, and clippings. The collection numbers at several hundred articles. The Ackman & Ziff Family Genealogy Institute at the Center for Jewish History was established in 2007. The institute houses some of the most comprehensive databases available, many unique to the institute. The archives contain some of the most comprehensive collections on Jewish genealogy outside of Israel. There are over 500,000 volumes held here. These include family and community histories, newsletters from Jewish genealogical societies, and historic newspapers (including the New York Times and the Washington Post). Our New York genealogists specialize in researching several types of documentation and are not limited to the list above. For more information or specific inquiries about our genealogists, please feel free to contact us.